..I don't understand how either of those are OOP already. It can't of been that long since they were released. JoJo makes sense because it's pretty obvious Kaze is dropping from the UK market, given a number of their titles are already out of print. As for 5 Centimeters per Second, either they only planned for a single print run, or their license since the DVD release has expired. I do wonder if 5CM just had a small print run given the Japanese release was import friendly, so they didn't want to take a risk. Alternatively people really just love 5CM. Time to wear my newbishness on my sleeve, who are Kaze and why do they have a bad rap? 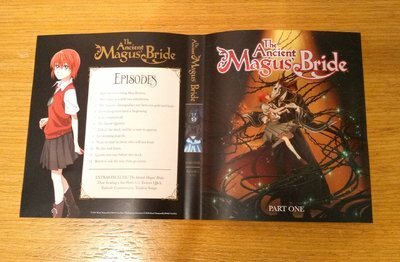 They're a big French distributor for anime in France. Half a decade ago they had a UK branch for select titles; such as Berserk Golden Age Trilogy, Black Lagoon, Code Geass, Nisekoi, One Punch Man, Princess Jellyfish, and more. A majority had quality control issues and content that were lacking in contrast to the US & AU releases. Oh that sounds bad but thanks for the information. Btw how was their One Punch Man release? I am (maybe was) actually planning on picking that up for my collection list. The minority that were acceptable were their more recent releases - Berserk Golden Age Trilogy (the third film has all of the extras that were missing prior), JoJo's Bizarre Adventure, Nisekoi and One Punch Man. 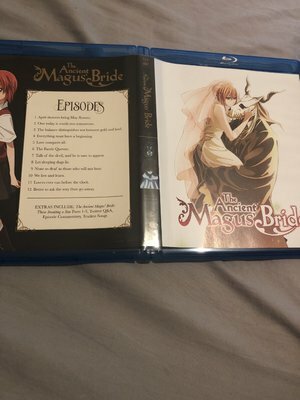 Can anyone tell me if Manga's release of Ancient Magus' Bride has reversible cover art? I'm hesitant to order funi's LE of part 1 because it looks like their part 2 standard only release won't have matching cover art and will just use the key visual for both the slip and cover like their standard part 1 release (so would look weird next to each other in the chipboard LE box). Does anyone know when we are expected to get Dragon Ball Super Part 7? The MHA Two Heroes steelbook is oop. All remaining copies are with retailers. It’s just every other subbed dragon ball has Freeza and Bra the DVDs,BDs and the manga but Toei feel nah who wants consistency you can tell it’s them as the Super streams have Frieza. Kururin is in the subs usually. It’s still Saiyan iirc will check later.